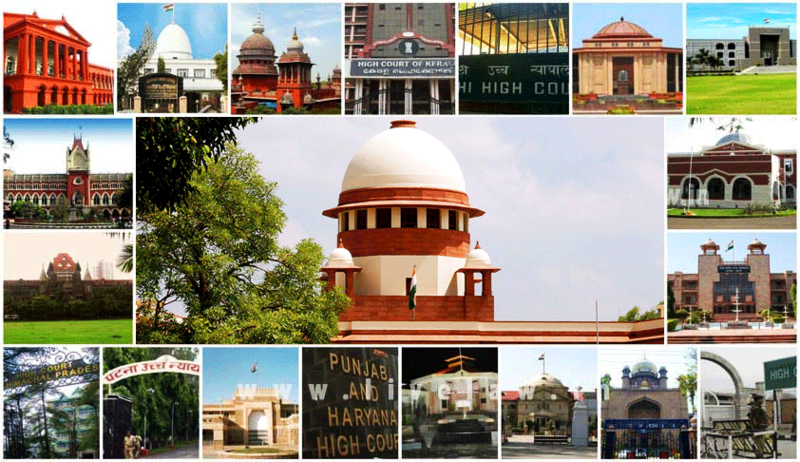 The Central Government has notified the hike in salaries of Supreme Court and High Court judges. The High Court And Supreme Court Judges (Salaries And Conditions Of Service) Amendment Act, 2018 increases the salary of the Chief Justice of India from the current Rs. 1 lakh to Rs. 2.80 lakhs per month. It further increases the salary of Supreme Court Judges and High Court Chief Justices from the current Rs. 90,000 to Rs. 2.50 lakh per month. The Judges of High Court, who currently get Rs. 80,000 per month, will now draw a monthly salary of Rs. 2.25 lakhs per month. The hike will apply from the month of January 2016, which makes it beneficial to judges retired recently, as well. The amendment, which is in line with the 7th Pay Commission for officers of all-India services, received president’s assent on 25th January,2018. The parliament had passed the bill in the last session.